A HARARE teenager was arrested yesterday while trying to steal Member of Parliament Killer Zivhu’s car using Senator Josiah Hungwe’s name. The 18-year-old – Kingsolom Mlambo – communicated to the unsuspecting Chivi East MP Zivhu while pretending to be Sen Hungwe’s son, Vincent. 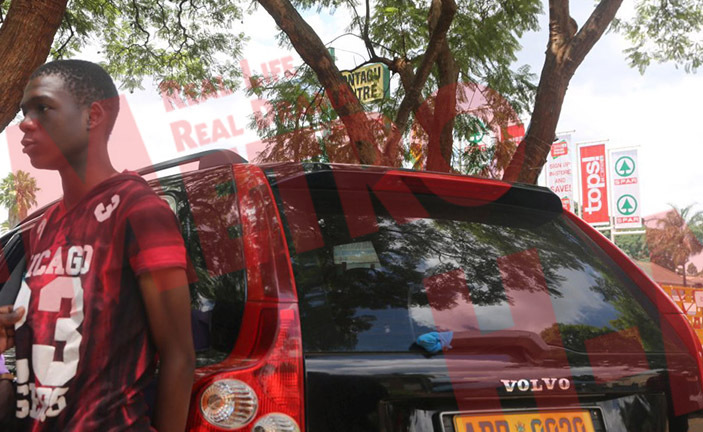 The teenager was nabbed by officers from CID Vehicle Theft Squad at Montague Shopping Centre after being driven from a city hotel the initial meeting point where the car was supposed to be surrendered. Deputy Police Spokesperson, Assistant Commissioner Paul Nyathi confirmed the arrest. “Yes we confirm the arrest of a suspected teenager who wanted to use the name of Senator Hungwe to steal a car. Police believe there were more people involved in the deal. Acting on a tip off the detectives tracked the vehicle, a Volvo SUV driven by Zivhu’s driver to the hotel where the suspect was waiting. The teenager was picked and led to Montague where the driver said he wanted to drop off. “I am sorry, I just wanted to use the vehicle for an outing with friends and I wanted to be showing off to them that I have a nice car,” he said pleading with the detectives. He was however taken to Southerton Police Station for further investigations. Zivhu said he was saved by an inquiry he made before releasing the car. “I nearly gave away my car. It was after I made an inquiry into what type of car was required when I realised that they were thieves who wanted to steal my car. “I then engaged police to ensure that the culprit gets arrested,” said Zivhu. [13:13, 2/3/2019]: No i want help for something besides that if you are capable…my wife*s mother is really sick in mutoko now and am at beitbridge…sent cars to service…my wife now doesnt hv a car yekunovatora at mutoko..of only u are capable of helping her with a car to go and take her mother…please brother…. [13:13, 2/3/2019]: She wants to go with her brother and sisters ..i dont know if you can make the driver drop off the car on town and she will pick it up i would really appreciate it….thank you…. [13:14, 2/3/2019]: Imota ipi which you are sending for easy identification..can yo wife bring it by 11 am at … hotel.